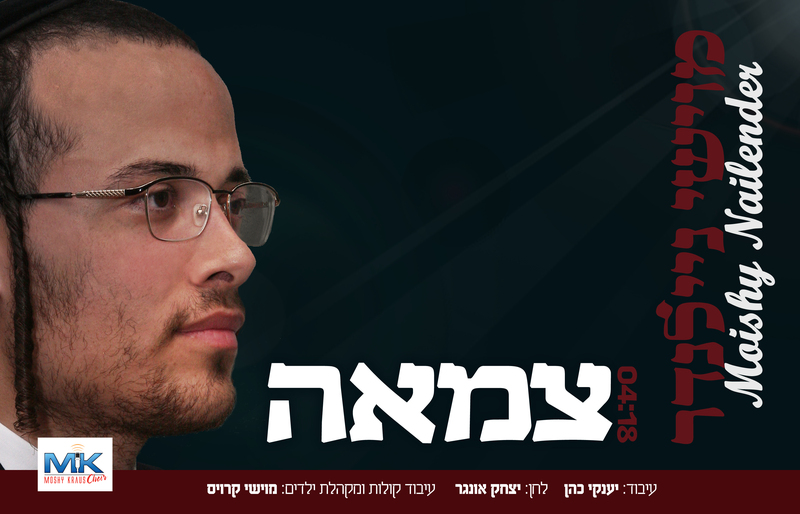 The debut single of Moishy Nailender, king of Chassidic wedding music, is a milestone event in the history of Chassidic music. Originally an authentic tish niggun by Vizhnitz’s famed composer Yitzchak Ungar, “Tzamah” gets a modern, upbeat dance flavor in this unique new rendition. Tzamah is a classic Tish song from the parenches, with a dance rhythm that adds an exciting new dimension for today. Moishy Nailender, son and nephew of the world-renowned Nailender Brothers, has launched his singing career with stunning success on the wedding and event scene, where he appears throughout the year.